Life is running fast, and faster are the diseases following it. The hectic life to earn a healthy ad wealthy life has long lost its value, and now life is just accompanied with stress and tension giving rise to innumerable adverse health conditions. 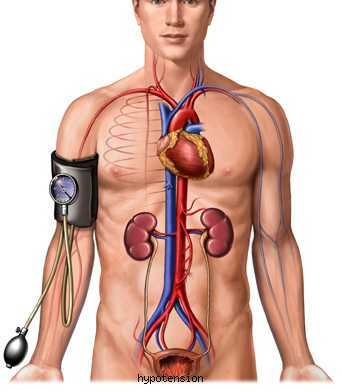 Hypertension and hypotension has become two of the most common and most serious foes of life. Hypertension is basically the increase in blood pressure level of the body, whereas hypo tension is defined as the decrease in the blood pressure level of the body and hence is also referred to as low blood pressure. Most of the people get concerned with hyper tension which is the most common among people these days. But hypotension is an equal killer. Hypotension is the condition where organs of the body can become deprived of oxygen and nutrients and the body goes into shock which can prove to be fatal sometimes because it leads to a life-threatening condition like chronic heart disorders, neurological and endocrine disorders etc. 1: Neurally mediated hypotension (NMH): This condition arises when a person has been standing for a long period of time or he has undergone an unpleasant or upsetting experience. In simple words this is referred to as fainting. People suffering from neurally mediated hypotension faint frequently. 2: Orthostatic hypotension: This is a type of hypo tension which is prevalent in adults and occurs when there is a sudden drop in blood pressure level which can be caused when a person suddenly stands up from a sitting or lying down position. 3: Postprandial hypotension: This is a kind of hypo tension referred to that which occurs after eating mostly. Don’t forget to read: What’s anorexia nervosa, causes, symptoms and treatments? There are innumerable causes that can lead to hypo tension. Here is the list of a few which might help you to ward off the disease by not following them. 7: Heart problems like valvular heart disease, heart attack, heart failure, a very low heart rate. 10: Stress and shock which occurs when blood pressure drops to dangerously low levels, seriously impairing adequate blood flow to vital organs, such as the brain and kidneys. Hypotension or low blood pressure is like a slow poison. It kills slowly and hence it requires immediate treatment, however the treatment depends on the cause of your low blood pressure and your symptoms. And if one is suffering from chronic condition then in case of medical emergency you might be administered medicines that are meant for increasing blood pressure and improve heart strength. You might also be given blood through a needle (IV) and certain antibiotics.